OMAHA — Three finalists for the 2015 Outland Trophy — two offensive linemen and one defensive tackle — were announced on Tuesday afternoon on The Home Depot College Football Awards Nomination Special on ESPNU. The Football Writers Association of America, in a vote of its 2015 All-America Committee, has determined the following three finalists for the award, in alphabetical order: Baylor offensive tackle Spencer Drango, Stanford offensive guard Joshua Garnett and Alabama defensive tackle A’Shawn Robinson. The winner of the 70th Outland Trophy, awarded to the best interior lineman in college football on offense or defense, will be revealed Thurs., Dec. 10 on ESPN on The Home Depot College Football Awards. For the first time the show will originate from the College Football Hall of Fame in Atlanta from 7 to 9 p.m. ET. Spencer Drango, OT, Baylor (6-6, 320, Sr., Cedar Park, Texas): Drango has a team-high 45 career starts (23 consecutive) for the powerful Bears’ offensive line. He is also a William V. Campbell Trophy finalist (top academic player). He is in his fourth season as a starting left tackle for an offense that is on pace to break an FBS record for total yards gained per game and is close to the all-time scoring record in points per game. The Bears’ offense is No. 1 in scoring and yards gained per game in the FBS in 2015. Drango is grading out at 93 percent and has 36 knockdowns. The veteran Baylor offensive line has allowed just 12 sacks in 10 games. Joshua Garnett, G, Stanford (6-5, 321, Sr., Puyallup, Wash.): A dominant run blocker for the Cardinal, which has scored 30 or more points in each of its past 10 games. He has started 26 straight games for Stanford, which has rushed for at least 100 yards in 45 of its last 48 games. Garnett, a team captain, is a great finisher of blocks and through 11 games had 82 pancakes. He has helped Stanford win the time of possession battle in 15 of its last 17 games with his consistent play. Stanford is 15th in the FBS in rushing offense and 21st in scoring. A’Shawn Robinson, DT, Alabama (6-4, 312, Jr., Fort Worth, Texas): A talented defender on the Crimson Tide’s line who has been one of the Alabama coaches’ defensive players of the game five times this season. He set the tone in the Crimson Tide’s recent 31-6 victory at Mississippi State with a career-high 2.5 sacks and leads the team with eight quarterback hurries to go with a career-high 36 tackles. He has seven tackles for 23 yards in losses this season and has broken up two passes, recovered a fumble and blocked a kick. Alabama is tied for third in scoring defense and is third in total defense in the FBS. Alabama will be seeking its fourth Outland Trophy winner – all since 1999. Chris Samuels (1999), Andre Smith (2008) and Barrett Jones (2011) have collected the Tide’s Outland Trophies. Stanford and Baylor have never had a player win the Outland Trophy, but both schools have had finalists: Baylor’s Santa Dotson (1991) and Cyril Richardson (2013) and Stanford’s David DeCastro (2011). The Outland Trophy, which has been awarded annually by the FWAA since 1946, is named after the late John Outland, an All-America lineman at the University of Pennsylvania in the late 1900s. The Outland Trophy is the third-oldest award in major college football behind the Heisman Trophy and Maxwell Award. 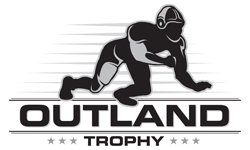 For the 19th consecutive year, the presentation of the Outland Trophy will occur in Omaha, on Jan. 14, 2016, at a banquet sponsored by the Greater Omaha Sports Committee. At the same banquet, former Maryland defensive lineman Randy White will receive an Outland Trophy. White, the 1974 winner of the award before trophies were handed out by the FWAA, is a member of the College Football Hall of Fame and a former star for the Dallas Cowboys. The Outland Trophy is a member of the National College Football Awards Association (NCFAA). The NCFAA encompasses the most prestigious awards in college football. The 22 awards boast more than 700 years of tradition-selection excellence. 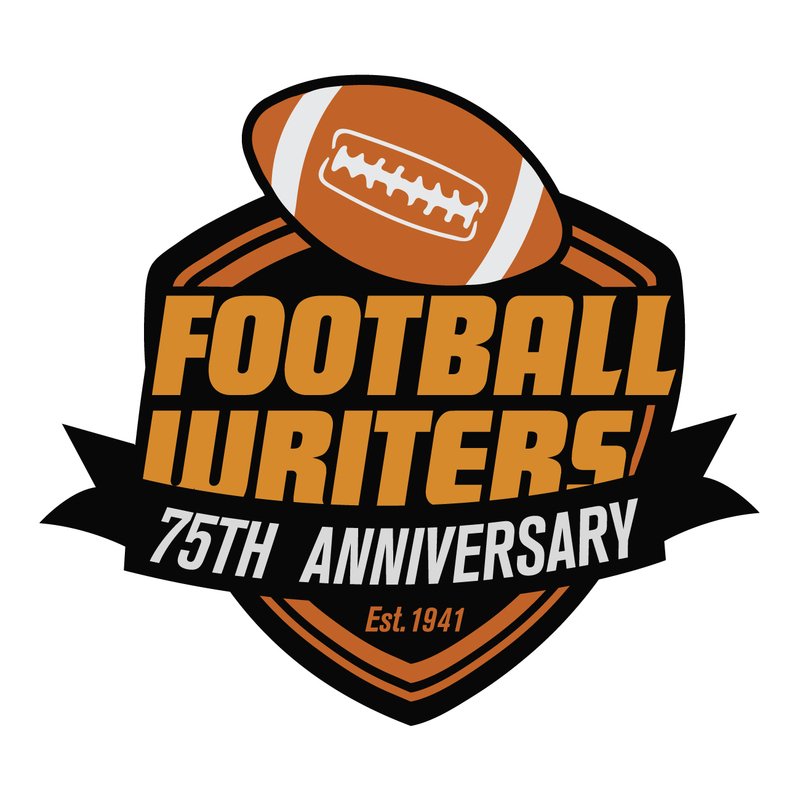 Celebrating its 75th season, the Football Writers Association of America, a non-profit organization, consists of more than 1,400 men and women who cover college football. The membership includes journalists, broadcasters and publicists, as well as key executives in all the areas that involve the game. The FWAA works to govern areas that include game-day operations, major awards and its annual All-America team. For more information about the FWAA and its award programs, contact Steve Richardson at tiger@fwaa.com or call 214-870-6516.